You’d never know that Milano cookies make the perfect gravestones, but they do! Get a very large serving bowl, glass of course, so you can see the dirt. Pour your two already made batches of instant chocolate pudding in the bottom, dropping gummy worms in the mix as you go. Get your anger out in a healthy way. Bash this. Pour the crumbled Oreos on top of the pudding. 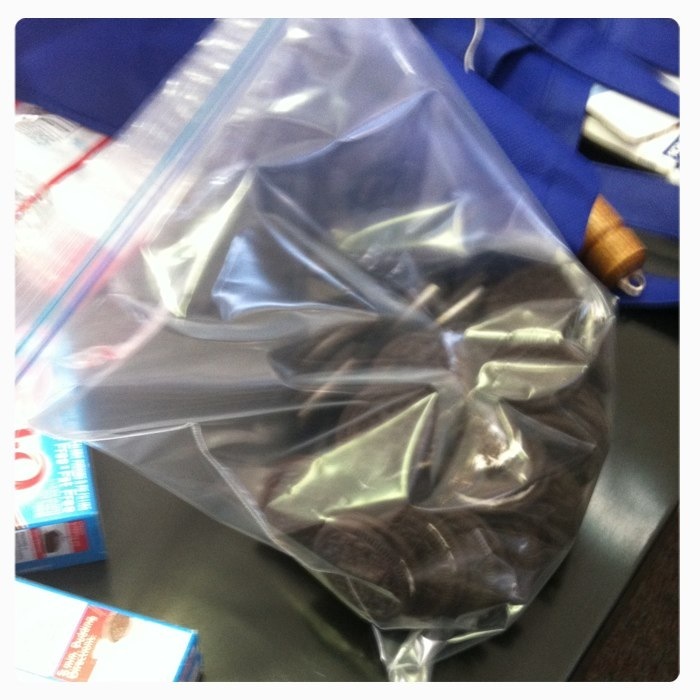 Next, write “RIP” on the top half of the milano cookies. You can then stick them into the “dirt” you’ve created. 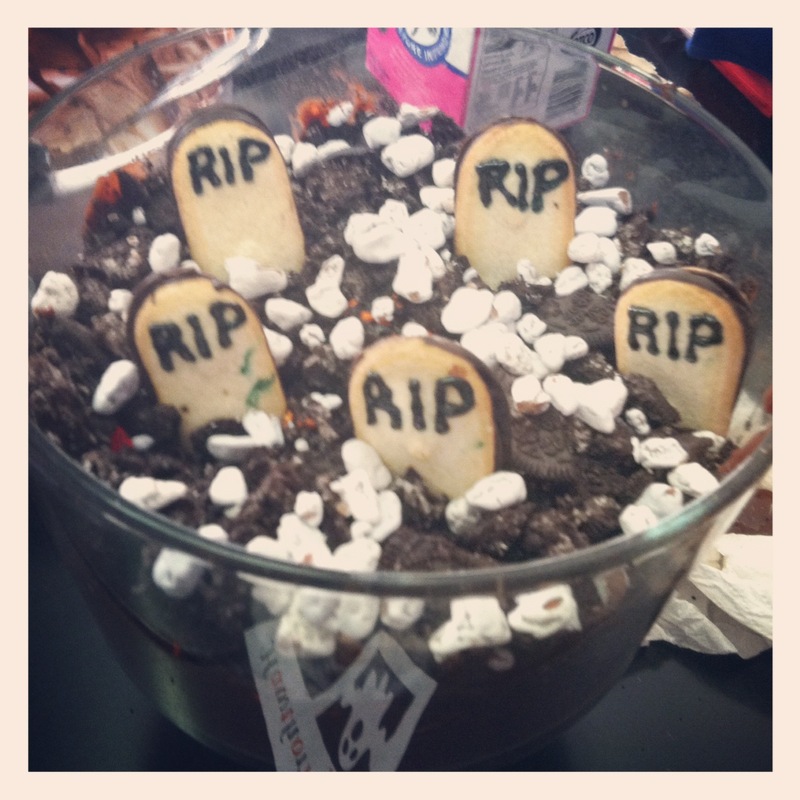 Top with some of the Duff chocolate rocks and you’ve got yourself a tasty graveyard! Party ready and a hit with the kids.